The quarter-finals have come and gone and it’s now on to Italian Open semi-finals. A winner will be crowned on Sunday evening in Rome and with the four players that are left, it will be a titanic battle to claim top honours in Italy’s capital. Stopping Rafa Nadal will be no easy task but someone will have to do if they want to win the ATP Rome. The Spaniard is out to win an unprecedented eighth title and if his performance in the quarter-finals was anything to go by, he could well do so this weekend. Nadal suffered an early scare against Italian Fabio Fognini during their quarter-final clash when he lost the first set. That was as far as the home fairytale went, however, as the Spaniard stepped it up a gear and won the next two to book a place in the Italian Open semi-finals, eventually winning 4-6, 6-1, 6-2. It’s always an ominous sign when Nadal is winning without the need to be at full throttle. Rafael Nadal celebrates after winning his Italian Open 2018 quarter-final match against Fabio Fognini. 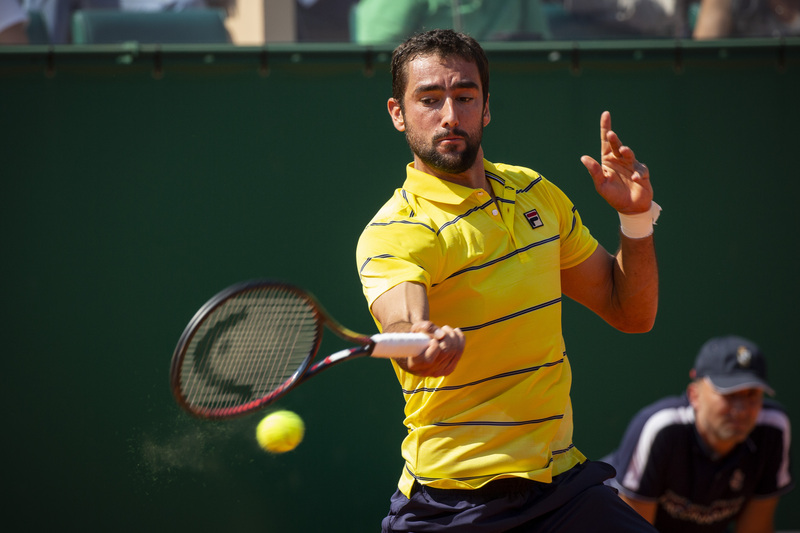 Marin Cilic romped into the semi-finals after he beat a hapless Pablo Carreno 6-3, 6-3. The Croatian has been flying under the radar in this tournament so far but showed his hand in the quarter-finals. Novak Djokovic, meanwhile, was eventually able to overcome Kei Nishikori in a marathon quarter-final that ended 6-2 6-1 6-3. Nishikori pushed Djokovic all the way and will feel a little bit aggrieved he couldn’t see the deal out after breaking his opponent in the final set. The late quarter-final played out on Friday evening, where defending champion Alexander Zverev was put through his paces. The German was able to overcome David Goffin 4-6, 6-3, 3-6 in what was another pulsating semi-final at the Italian Open. The tennis world is set for a blockbuster showdown in Rome when the Italian Open semi-finals get underway at 2pm on Saturday. Nadal and Djokovic will meet for the 51st time in their career and it is Djokovic who holds the slight advantage having won 26 times to Nadal’s 24. There are reasons to possibly forget the historic battle between the two when they clash in Rome and focus on the here and now instead. Djokovic is coming into this game on the back of a year of poor results and continued injury problems. The Serb has been far from his best and faces an opponent in Nadal that has reached the semi-finals without breaking a sweat. When you add Nadal’s outstanding record on clay and also how clinical he has historically been at the Italian Open, it begins to look like this should be quite a straightforward task for the King of Clay. Djokovic may have also played his ace last night in his quarter-final matchup against Nishikori as he pulled out all the stops to topple the Japanese star. 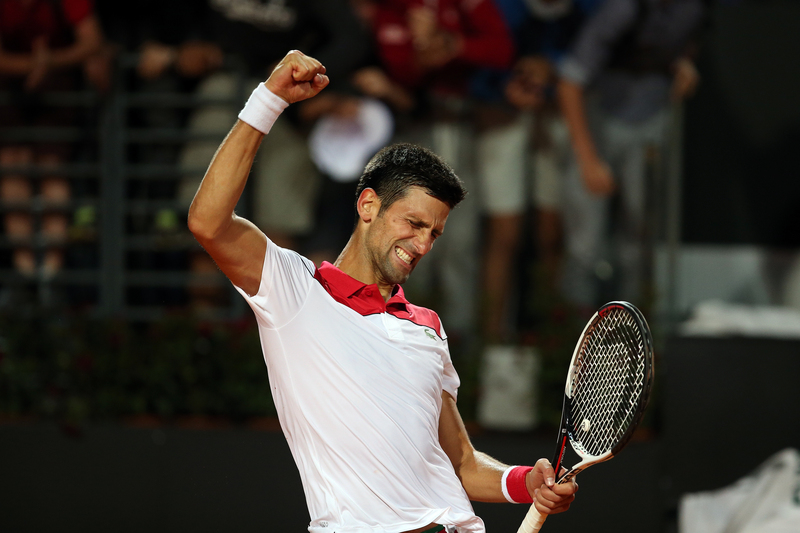 Novak Djokovic (SRB) celebrates after winning his quarter-final match 2-6 6-1, 6-3 against Kei Nishikori. It was a gruelling test for the Serb that would have taken its toll after not having played at that tempo for over a year. That being said, Djokovic fans will be comforted to see he was able to progress and there were signs that the 12-time grand slam champion was returning to his best. 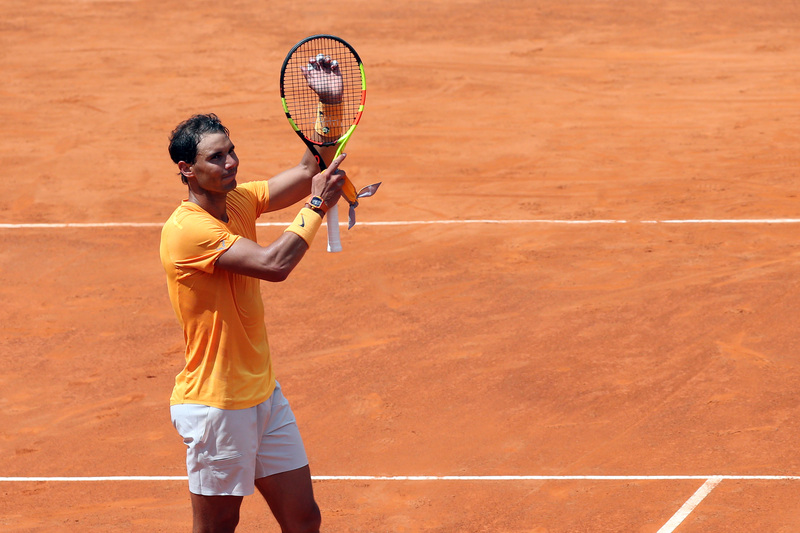 An upset is possible, but Nadal should have the edge over his old foe Djokovic and goes into the match as the heavy favourite in the Italian Open betting. Cilic’s performance against Pablo Carreno Busta in the quarter-finals was another example of the Croatian’s unpredictable nature. The Croat wrapped proceedings up in 65 minutes against the Spaniard and that type of display would have irked a weary Zverev. Last year’s Italian Open winner goes into the game against Cilic as the clear favourite in tennis betting, but that doesn’t tell the whole story. Zverev does look comfortable on clay and is one of the game’s leading lights at only 21 years old – but he isn’t at the stage where he can have an off day and still win. Anything but Zverev’s best and Cilic will pounce to book himself into the final of the Open. The Croatian didn’t look like a man who was in Rome to make up the numbers during his quarter-final and this could be the closest semi-final match-up of the two. Another thing to take into consideration was the length of Zverev’s quarter-final against Goffin at 107 minutes as opposed to Cilic’s clash which lasted 65. Cilic will also have eight hours more rest time than Zverev who’s match ended close to midnight. Given that this is the third week in a row that Zverev is in a semi-final there is a feeling fatigue could play its part and that’s why Cilic is the worst possible opponent for him at this moment. The late semi-final on Saturday evening could see an upset with Cilic backed to come out on tops. Who will win the Italian Open? Should the semi-finals play out as we expect then they will be a closer affair than the final itself. Cilic would have done well to have toppled Zverev, who by his own admission, is feeling tired but he comes up against a very different animal in Nadal. The Spaniard should have Cilic’s number and will push him to parts of the court he’s not comfortable playing from. That’s the benefit of dictating the pace on clay and the reason why Nadal is referred to as the very best to have played on the surface. The King of Clay should win an unprecedented eighth title at the Italian Open and that should be the case regardless of who he faces in the final. Cilic will put up a fight and is capable of beating Nadal, but he’s always the underdog as their previous head-to-head stats show. Out of the seven encounters they have had, Nadal has won five to Cilic’s two. It should be business as usual for Nadal as he puts Cilic to the sword in Rome and establishes himself yet again as the finest clay court player in the history of the game.